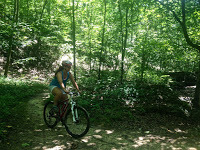 J & I engage in plenty of outdoor sports–hiking, paddling, biking, rock climbing, XC skiing, etc. Our participation in them depends on the area where we live and how much time we have. 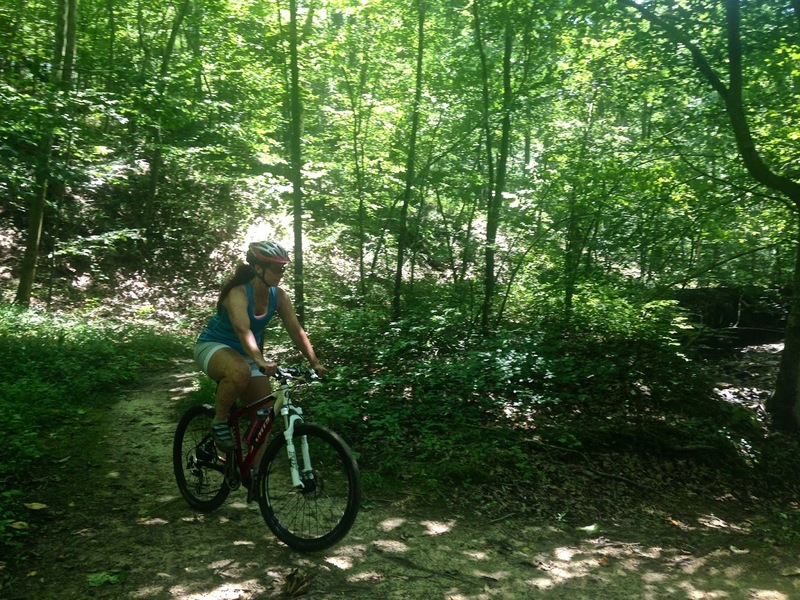 Mountain biking has never really been in our rotation of activities. J has done it a few times, but is definitely a beginner. As for myself, the only time I rode on a mountain bike was for 3 minutes during our Backpacker Magazine/Goodyear photo shoot in 2013. Still, learning to MTB has always been on my bucket list, despite it having the reputation of hard work and easy injury (apparently the slower you go, the more likely you will be to crash). 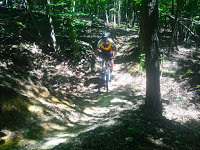 If Danville is good for anything, it is good for outdoor recreation. Suffice to say, we are having a very active (hot) summer. 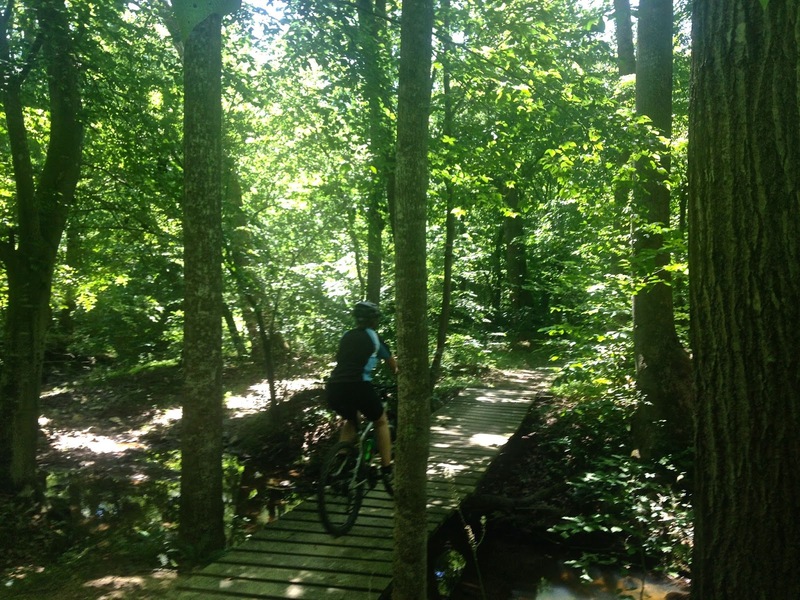 Despite not having a stellar mountain surroundings, there’s pretty much everything at your fingertips in Danville: biking, paddling, rock climbing, hiking … Included in this is Angler’s Ridge Mountain Bike Trail. 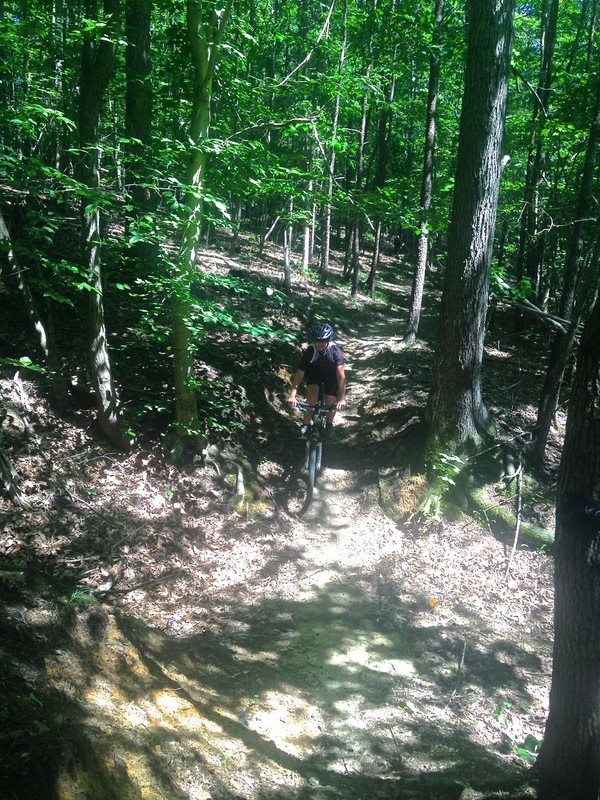 Back when J was assistant director of outdoor recreation for Danville, this trail was in its infancy. Now it is rated #1 in Virginia and #41 in the whole country (world?)! 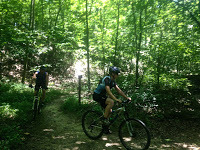 Bobby (aka Bolt) and Tammy of the Great American Family are avid mountain bikers (of course they are, they wouldn’t be the Great American Family if they didn’t participate in every sport out there). Bobby was the one who taught me how to rock climb like a champ, so it was a no-brainer to have him teach me mountain biking. 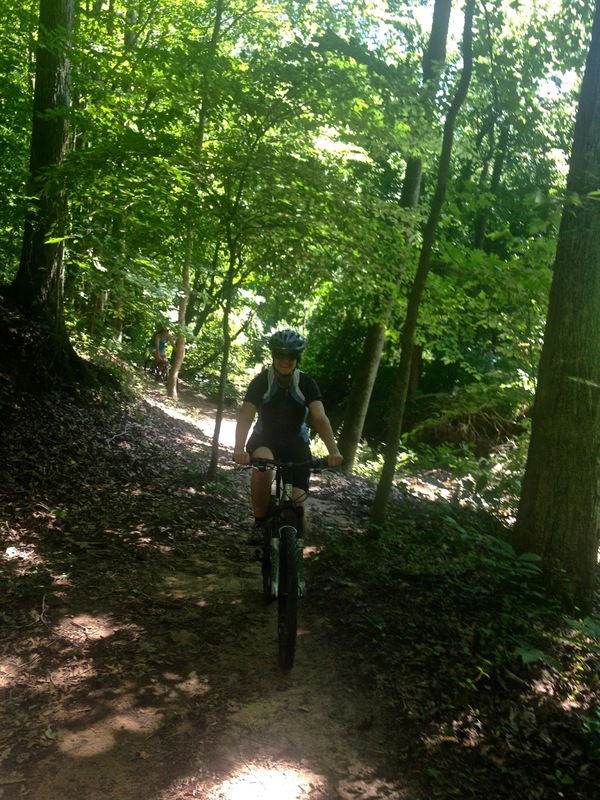 On Sunday, I went mountain biking for the first time. 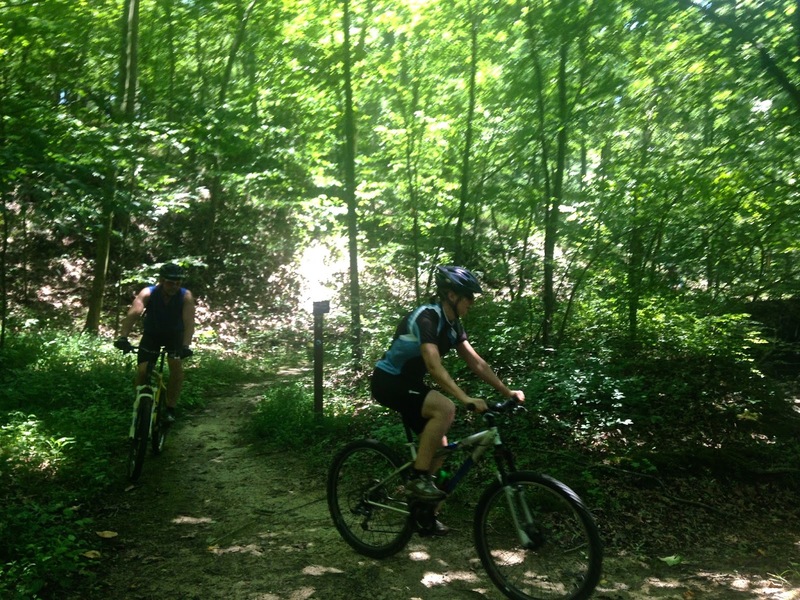 Anglers offers 35 miles of single-track loop trails from beginner to expert skill levels. 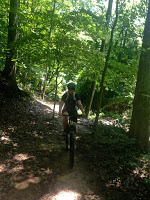 The four of us rode Riverside Drive (beginner) and Hot Tamale (a step up from beginner). 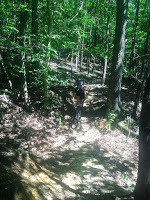 The trails rise, fall, swagger, twist, turn, snake, all through the forest. 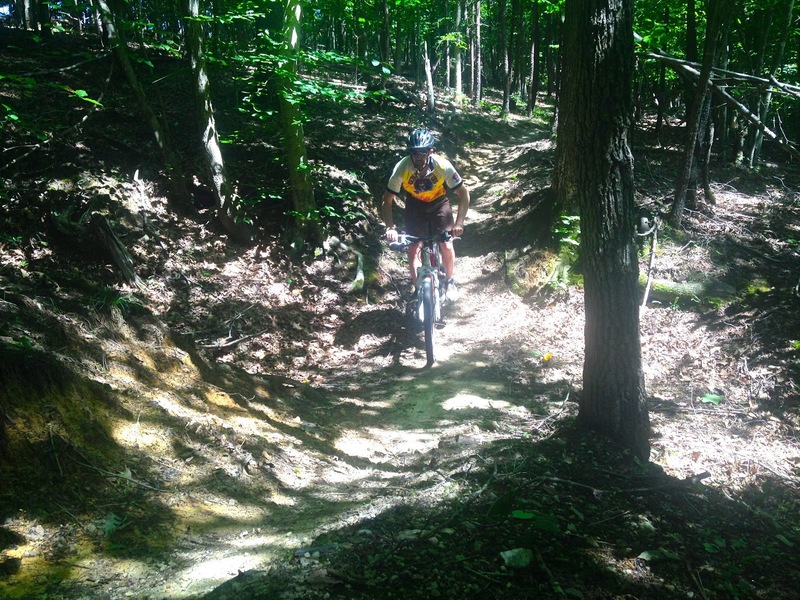 J is a natural rockstar at mountain biking … of course. I loved it. 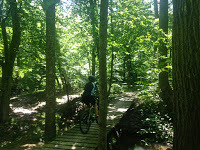 J and I have been trying to squeeze in more rides in this week with Bobby and Tammy. I am definitely nervous, especially on the bridges and downhills, but I know the more practice, the more confident I will be and the better I will get (right Kiki??). I hope wherever we end up, we can do more MTB, but for now it feels like a good start to checking that one off my bucket list. It has been my pleasure to have a buddy that likes to ride. We will surely miss the both of you and I definitely will miss my Yoga/Mountain biking buddy. Yes, J is a natural, but that has never stopped you before! Keep up the good work and you will be riding like the wind soon enough. We have definitely enjoyed having you both back in Dan-Vegas these last few weeks, but I understand, adventure awaits you. Travel safe and keep the blog coming so I can keep up with you.